Here are resources from Phase 2 workshops and field tours. To read the Phase 1 Summary Report of the Lower Mainland Flood Management Strategy and to access full technical reports and maps, see Phase 1 Results. 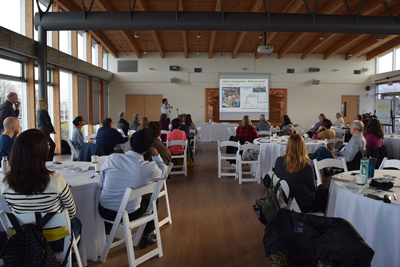 FBC hosted a workshop and field tour in Richmond and Delta to look at ways communities are tackling coastal flooding and ecosystem resilience in the face of sea level rise. The event included 60 participants, many from partner agencies in the Lower Mainland Flood Management Strategy initiative. Charlene Menezes of FBC engages discussion on flood hazards and infrastructure risk during a small group session. This workshop was an opportunity for management and operational staff responsible for infrastructure in the Lower Mainland to meet and discuss flood hazards, infrastructure risk and opportunities for risk reduction. 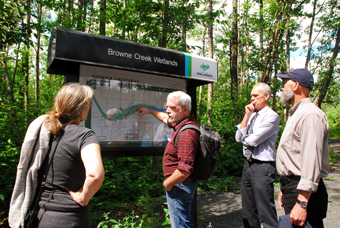 A workshop and field tour in June 2018 offered the opportunity for flood managers and others in the LMFMS to visit the Browne Creek Wetlands in the Vedder Greenway, on the south side of the Vedder River in Chilliwack. Because dikes were set back from the river, it was possible for wetlands project partners (DFO and the Fraser Valley Watersheds Coalition) to create salmon spawning channels and for the City of Chilliwack and Rotary Club of Chilliwack to create prime recreational trails that connect the people with the water, while also better protecting the flood infrastructure. A June 2018 workshop explored ideas and case studies relevant to flood management in the Chilliwack area of the Fraser Valley. 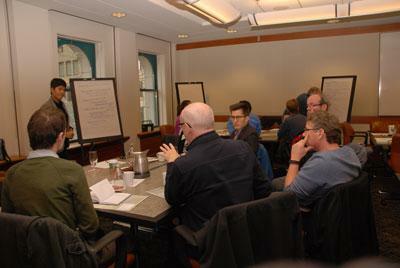 The workshop drew over 50 participants, including members of the Joint Program Committee for Integrated Flood Hazard Management, members of the LMFMS advisory committees, First Nations leaders and staff, and federal, provincial and local staff having responsibilities relevant to flood management. The sessions were followed by a field tour to case study sites. Many thanks to workshop speakers Dr. Mike Church (Professor Emeritus, UBC Geography), Mike Pearson (Pearson Ecological), Neil Peters (Retired Provincial Inspector of Dikes), Brent Baron (Indigenous and Northern Affairs Canada), Lory Oberst (Housing Manager, Skwah First Nation), Chief Robert Gladstone (Shxwha:y Village) and Frank van Nynatten (Assistant Manager of Environmental Services, City of Chilliwack).